In a recent photography walkabout to capture some landmarks in Orchard Road based on the theme of “What Orchard Road means to me”, I walked towards the Old National Library location from Stamford Road, retracing the road that connects to Orchard Road passing by the Old National Library. 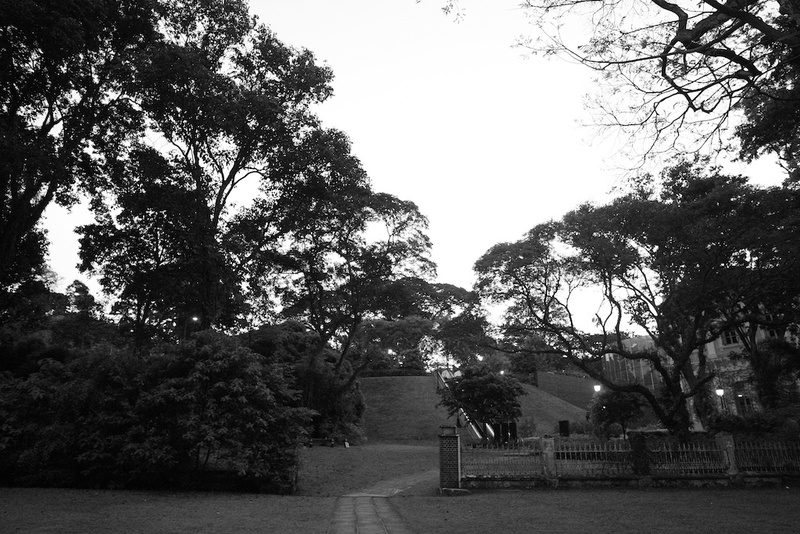 As I passed by this entrance, overlooking Fort Canning Hill and National Museum of Singapore. Do you remember this entrance? Whatever remains of the Old National Library is this iconic entrance and the fence beside it. The memories of my childhood and student days, growing up and visiting the Old National Library with her iconic bricks building and colours, all these still lingers in my mind. I believe that many other Singaporeans have fond and beautiful memories of the Old National Library too! What are your memories of the Old National Library? Even though our iconic icon is no longer around, her memories and legacy stays forever in us and in our history, heritage and culture. It’s the Old Malay Wall of Singapura was described by John Crawfurd in 1822….